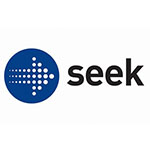 SEEK have established their ‘Rockstar Recruitment’ strategy as a means to engage the new, millennial workforce and better set them up for success in the customer service industry. Hear about this detailed process and why SEEK prides themselves on having 100% accuracy in getting the right people in these roles. Check out the incredible speaker line-up to see who will be joining Deanne.